OUT YESTERDAY, JANUARY 26. DON’T DELAY, GET YOURS TODAY!! Posted in music friends, recordings, Uncategorised. Bull’s Team Ahead – oh yes there are gigs. The gig list is now up on the Gigs Page. An appearance at the groovy Claygate Music Festival plus a frankly magnificent selection of Bulls. It’s no wonder Big Rollers in the know are feeling Bullish! And this is just the start. 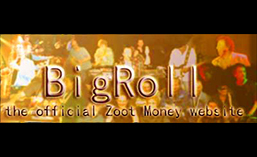 Check back frequently for updates and stay in touch with Zoot on Facebook.